In today’s video I discuss how shutter speed directly affects ambient light when using flash. 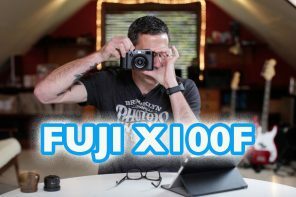 I use photos I shot with my Fuji X100 and show you what happens when you change your shutter speed by just 2 stops, the ambient light gets crushed and the difference is almost night and day. Literally. The scene goes from a nice balanced ambient look to a dramatic look that almost looks like a different time of day. Aperture, ISO and Flash Power remain the same, but by changing the shutter speed, the ambient changes. This is a nice nugget to keep in your tool belt in that you can offer a variety of different looks with your images simply by making minor tweaks to your shutter speed.